Gate valves operate by opening or closing a passageway to manage fluid flow. You use an O S & Y gate valve mainly to control water flow, and you commonly find it in municipal and industrial water service applications. 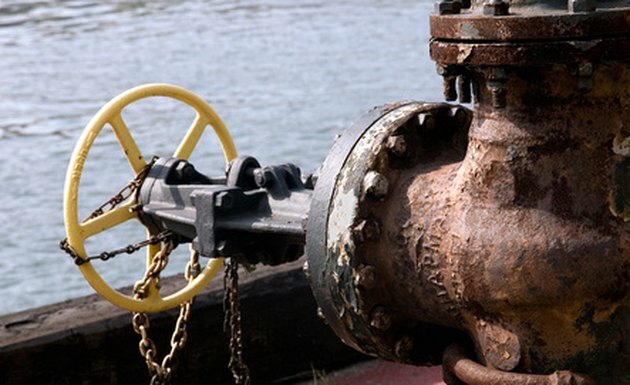 O S & Y gate valves manage fluid flow by opening or lowering a gate. O S & Y (outside stem and yoke) gate valves operate by opening and closing via a gate, which lowers into or raises out of the valve. Lowering the gate prevents water from entering and flowing through the casing of the valve. O S & Y valves contain a screw nut held by a yolk, or beam, on the exterior of the valve. A wheel in the valve attaches to the nut, which turns via external screw threads, allowing the shaft to rise from or lower into the valve body. This shaft action either pushes or pulls the valve disc, enabling the valve to open or close. Operators can control the action of some O S & Y valves via a handle. In such cases, the valve gate attaches to a threaded stem with a handle that connects to the yoke element. As the operator rotates the handle counterclockwise, the stem lifts out of the handle, opening the gate. A clockwise rotation of the gate moves the stem back into the gate and closes the valve. Andrea Stein has been writing since 2004. She was a features editor for "Hallmark Magazine" and has served as newsletter editor for several nonprofit organizations. Stein has also worked in public relations, marketing and administration. She earned her Bachelor of Arts in English from the College of Dupage in Illinois. How Does a Three-Way Valve Work? 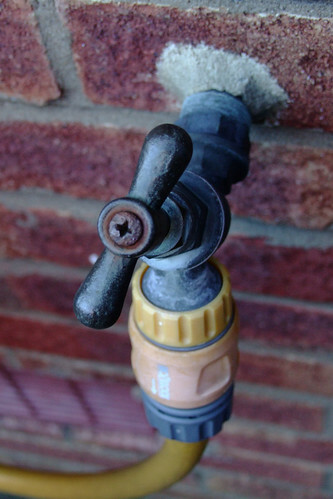 What Is the Difference Between a Diverter Valve and a Shower Cartridge? How Do I Repack a Leaking Gate Valve?